For any newcomer in Turku, the sight of the pigduck sitting in front of the Caribia hotel is always puzzling. What is this thing? 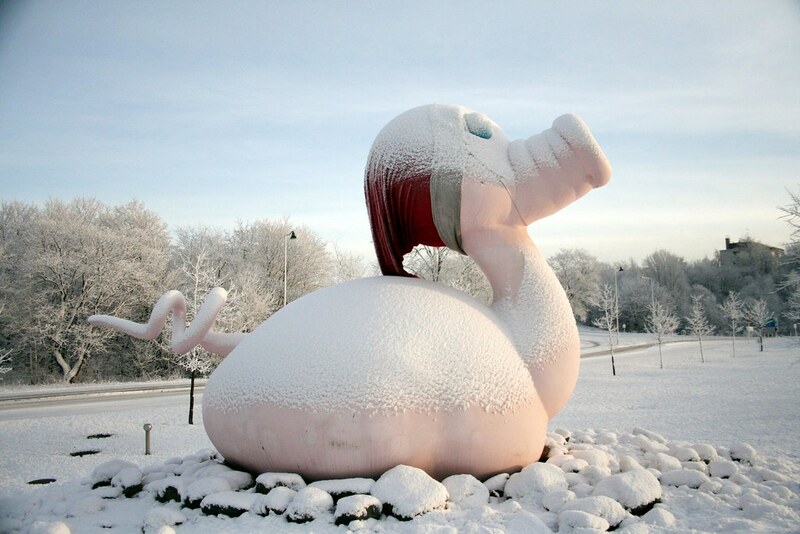 Named posankka in Finnish, the sculpture is now eighteen years old. It was built in 1999 by a Finnish artist named Alvar Gullichsen, whose intention, amongst other things, was to criticize the development of GMOs (Genetically Modified Organisms). It’s made mostly of glass fiber. By combining the characteristics of a duck and a pig, the artist created a unique piece of artwork. And if its purpose is to create some reflection, I would say it succeeds in this task. When the artwork was completed, in 1999, it started its journey by being exposed on the Aura river in the middle of Turku for two years. 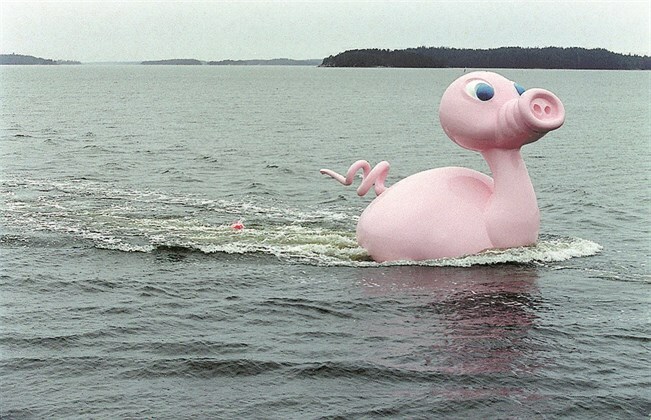 Then, After creating a bit of controversy (some named it a ”pink monstrosity”), the pigduck was transferred in 2001 to its current location, next to one of the main roads in and out of Turku. It has become one of the unofficial symbols of the city, even though many are still unconvinced by its unconventional beauty. Due to its quite original looks, the Posankka has become famous through the world, regularly making it to rankings of the weirdest sculptures worldwide. It is also well-known from visitors coming to Turku, as it is one of the first things welcoming them. Through the year, the pigduck wears different items of clothing for special occasions. This includes a red hat during Christmas time, and a student hat for Vappu (students’ day, on the first of May). So next time you see the pigduck, you will know a bit more about its story and reason to be there. For news and updates on the Posankka’s life, you can follow this facebook page.